Chocolate Chip - Crispy-edged cookies with a chewy center, filled with 3 different kinds of Belgian and domestic dark and semi-sweet chocolates. 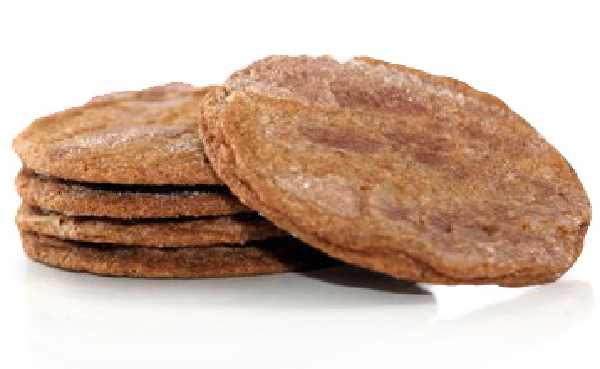 Cinnamon Brulee - Crème brûlée-like topping of cinnamon sugar on a chewy, buttery cookie. 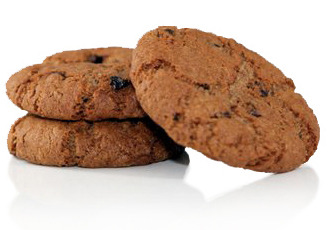 Oatmeal Raisin - The perfect balance of plump California Thompson raisins, oats and spices, rolled into a chewy delight. 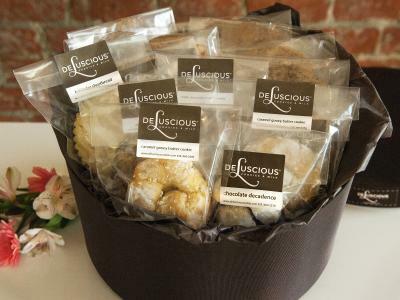 Peanut Butter - Thick, chewy peanut butter cookie loaded with fresh-roasted peanuts. 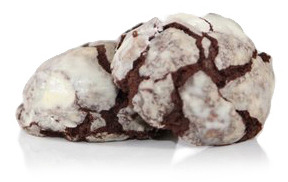 Chocolate Decadence - Our signature dark chocolate cookie rolled in powdered sugar and baked to a brownie/truffle-like texture. 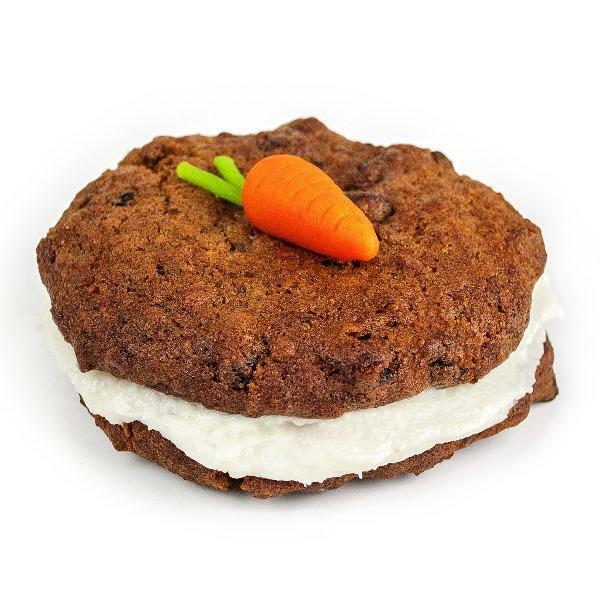 Carrot Cake Whoopie Pie - Freshly grated carrots melded together with raisins, walnuts, and a proprietary blend of spices, filled with cream cheese buttercream and finished with a handmade marzipan baby carrot. 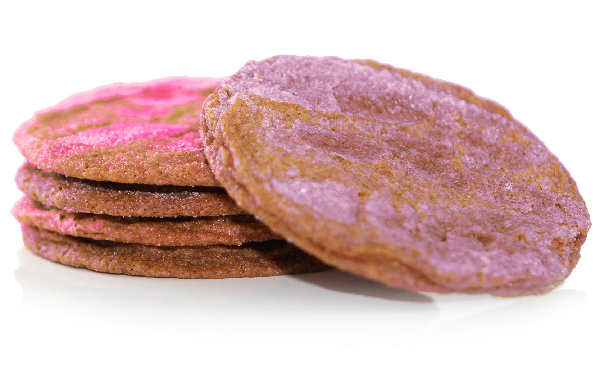 Spring Sugar Cookies (in pink or lavender hues) - Lavender and pink colored caramelized chewy, buttery sugar cookies. 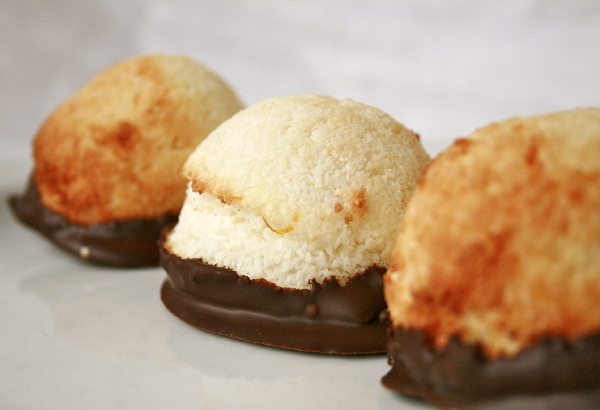 Macaroons (Classic, Orange, Raspberry) - Flourless & Gluten-free - available in orange, raspberry and classic coconut flavors and dipped in dark chocolate. 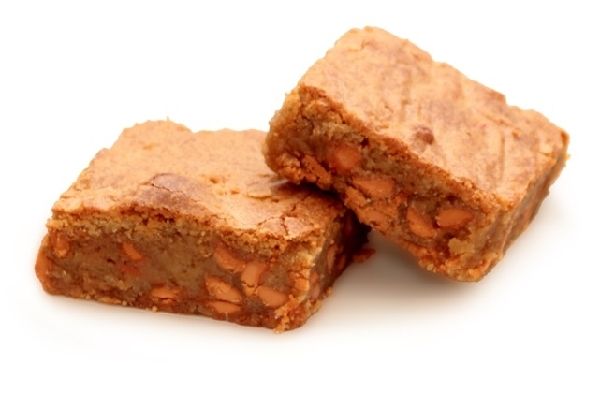 Butterscotch Blondie - Caramelized brown sugar adds an additional layer of flavor and chewiness to this butterscotch-rich blondie. 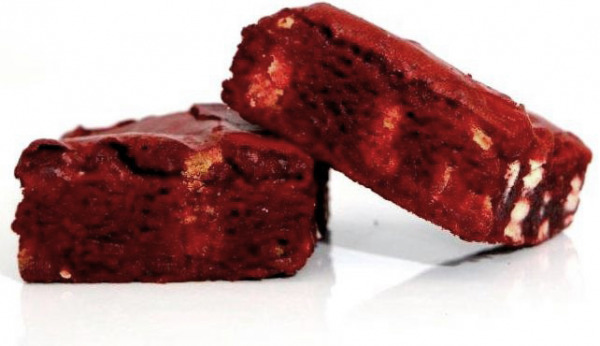 Imported Valrhona cocoa powder and premium white chocolate give this brownie an unmistakable yet subtle chocolate flavor and creamy yet dense texture.